Birthdays: One of the best reasons to go out on the regular and celebrate love and friendships. To be honest, when I first committed to a lifestyle change, it was very difficult for me to be social. That’s not the greatest thing for someone who happens to be very social and works in the “SOCIAL” business! One has to do what one has to do though to balance or re-balance their lives. Anyway, it’s taken some time but I do enjoy sharing important moments and occasions with my friends. Today is one of my best friend’s birthday celebration so off I went to her house in New Jersey! My friend’s family owns the most amazing Italian bakery. I have eaten their breads, sandwiches and food for years. Since I have gone vegan, my friend still always thinks of me with special antipasto items and whole grain bread. I really didn’t have any expectations today especially when I saw the layout of meats and pastas at her party. I really didn’t even think twice about it. 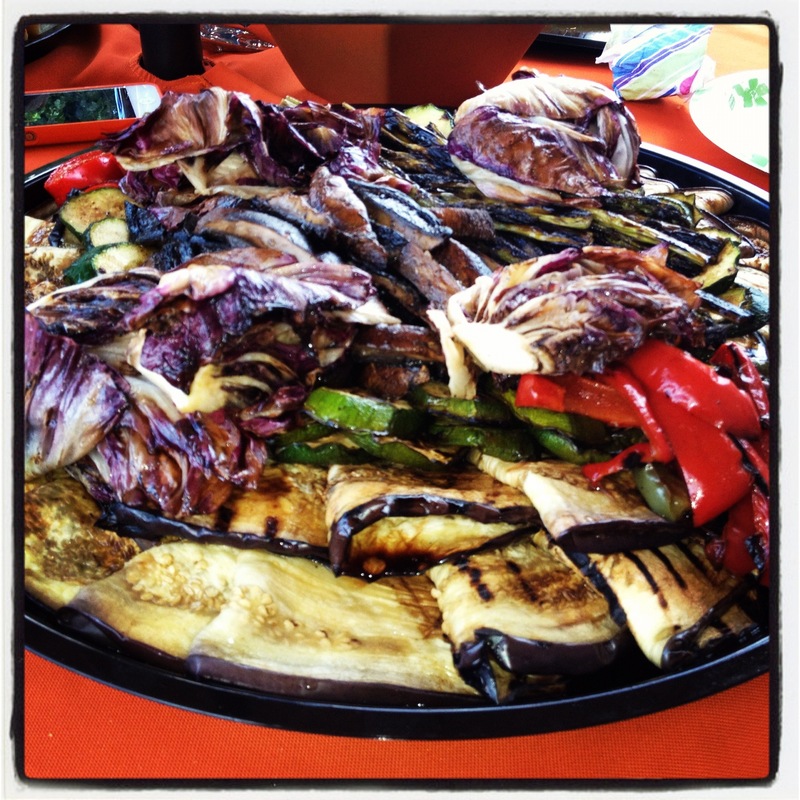 Out of nowhere, my darling Giulia says, “of course I didn’t forget about you” and whips out a gigantic tray of grilled vegetables. I love my friends! This is a wonderful party dish in case anyone was wondering: grilled zucchini, squash, eggplant, red cabbala, roasted peppers and asparagus. Delicious~ thanks Giulia and CLEMENTE BAKERY!